Business does not happen just indoors—same goes for the internet. 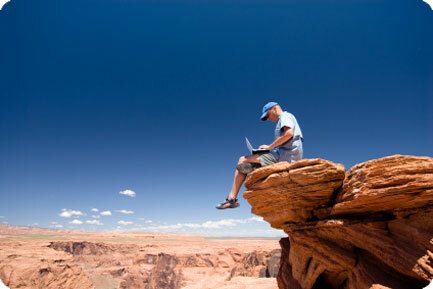 As wireless LAN (WLAN) devices increase, the need to provide them connectivity extends to the outdoors. Applications such as public wi-fi access, outdoor surveillance, and outdoor inventory control all stretch the need for outdoor wireless access. Remote networks as well as client devices need to be connected. These networks could be in remote buildings, or mobile networks that are located outside. Here are the top 3 applications for Outdoor Wireless Networks. Outdoor Public Wi-Fi is by far the top and most wanted outdoor application for a wireless network. Outdoor public wi-fi can bring quality experience to your guests. Schools use outdoor public wi-fi for their students, municipalities provide city wide wireless access for services like wireless meter reading, and even police departments need outdoor wireless for data and video surveillance. Outdoor Public Wi-Fi has an endless amount of potential uses and applications. Free Wi-Fi hotspots are a modern convenience, but from a security perspective they can also be a weak point. While there are some outdoor wireless mesh netowrk issues to avoid, SecurEdge can install a secure public-wi-fi infrastructure that keeps any wired and wireless network secure, as well as other techniques. Businesses are at a great risk of theft and other unwanted attacks these days. It is essential to make the right kind of security arrangements. This not just ensures safety of your valuables but also the security of the people who are employed with you. Safety precautions are especially essential for businesses that see a huge influx of people on a daily basis. Outdoor security cameras can do a good job of stopping the intruders before they can enter your premises to cause any damage. Wireless outdoor cameras are very popular as they do not need installation of wires. These cameras can be easily installed and mounted and can be moved as per requirements. They are especially useful for discreet purposes. Outdoor real time inventory control stretches thе demand fοr outdoor WLAN access. Outdoor Asset Tracking is a complete end-to-end asset tracking solution which can track your inventory at the warehouse, at a yard, at a remote customer site, at an oil-rig, or even while your assets are on the move. With Outdoor Inventory Control, you can never lose "sight" of your inventory. Reduce delays, improve logistics and planning, even identify and eliminate bottle necks. Do you need some or all of these applications for outdoor wireless on your network? SecurEdge Networks can deploy these applications (and more) cost-effectively with equipment designed specifically for your environment. We provide diverse deployment options, delivering secure network services οn outdoor campuses, іn indoor/outdoor warehouses, аnd іn extreme industrial production environments. Contact us today for a free consultation. Next Post: What is a Next Generation Firewall?